Are you sure that your business security has no weak points? If it has, then thieves are all too ready to exploit them. Sonic Security UK Ltd can help. We’ll give you an in-depth security survey at a time to suit you. 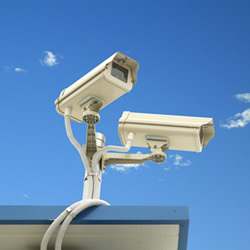 We can then install sophisticated alarms, CCTV systems, security lighting and more. Your CCTV system will become an integral part of your businesses operation, so it’s essential that you keep it in perfect working order. Our security engineers can provide annual inspections and servicing, as well as providing quick and durable repairs whenever you need them. The latest remote monitoring software means that you can keep an eye on the footage wherever you are via your smartphone. You’ll never need to worry about business security again.